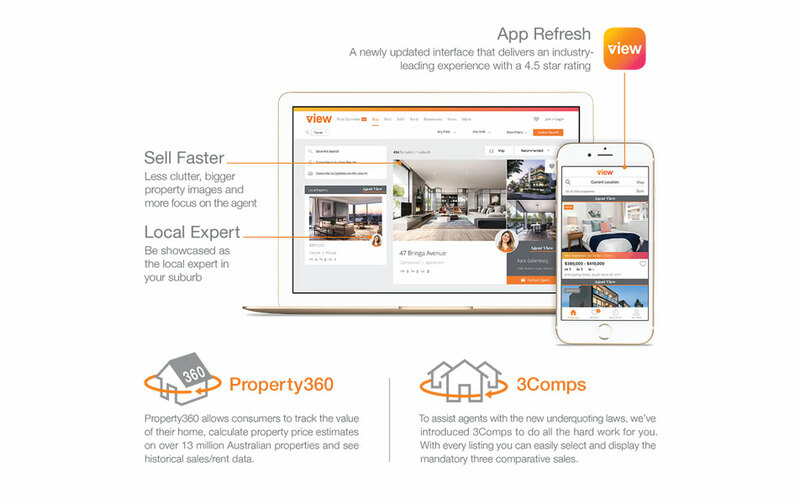 One of Australia’s largest online property portals, View.com.au, has established a new Marketing and Sales Partnership with The Estate Agents Co-operative (EAC) in NSW. The partnership gives EAC members access to a National Portal, with increased reach for all property listings, creating opportunities to find buyers and renters across Australia. The partnership, and associated data & insights, will also add further value to the respective offerings of both organisations. Through March 2018, realestateworld.com.au listings and searches will be updated to include a link to the equivalent listings on view.com.au. From April 2018, any properties on realestateworld.com.au will redirect to the same listing on view.com.au where EAC is the provider of the listing. Members will still load properties in the same manner and enquiry distribution, while including a new brand, will come through as normal. View.com.au CEO, Enzo Raimondo, agreed the partnership was an exciting development. “We have a very strong loyal network of regional and suburban agents and this partnership allows us to strengthen our exposure in regional NSW even further”. VIEW.com.au is the third-largest real estate portal in Australia and is the only real estate industry-backed portal. EAC joins REIQ, REIV, REINSW and REIT as shareholders of VIEW.com.au. As a Member of EAC, you now own a share in an industry backed portal. For further information on the partnership please visit View.com.au services in NSW or contact EAC on 1300 137 161.